This is actually based off of a Simpsons quote, just with one extra letter stuck in there (the plural S on the eyebrows). 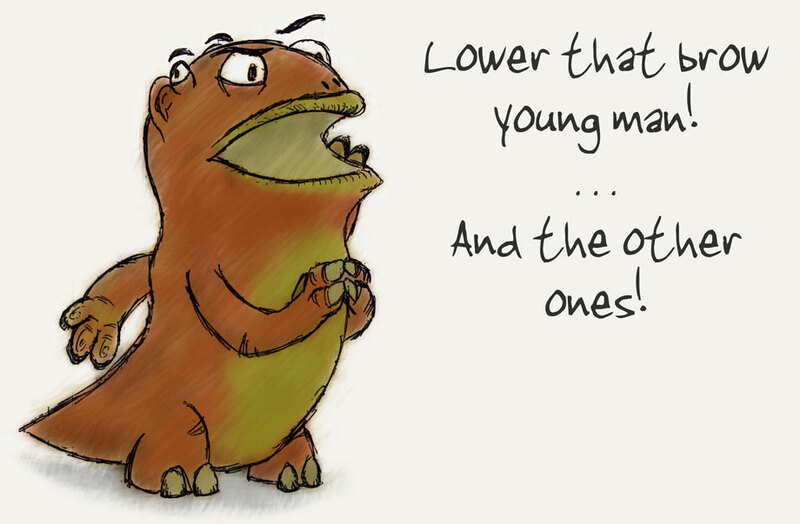 Tom Siddell of Gunnerkrigg Court used the quote in his comment once, and it amused me so much that I drew this. Art style drawing slightly from Ugly Hill, because it's just so effective. Good comic, by the way, you should read it. Made with pen, paper, and Photoshop CS3.